The theme for January always seems to be how to get more healthy and find new ways to cook that can help with your goal. I’m the same way, I want the best for my family but it’s really hard not to want a treat ! This is an amazing, yummy, delicious morsel that you can make as healthy as you want but feel like you just cheated with a whole cheesecake! Preheat oven to 350 degrees and spray mini cupcake pan with cooking spray and set aside. In a bowl, whisk together the flour, baking powder, 1/2 teaspoon cinnamon, and salt. In a different bowl, whisk together the butter, egg and vanilla. Add 1/2 cup sugar and 1/2 cup milk and combine. Add the flour mixture to the wet ingredients and stir well. Using a spoon, fill cupcake pan holes until they are 3/4 full. Bake for 10 to 12 minutes. Combine the remaining 1/2 cup sugar and 1/2 teaspoon cinnamon in a small bowl, and put the 3 Tablespoons milk in a separate bowl. Once the bites are cool, do a quick dip into the milk and shake off excess milk, and then roll the bite in the cinnamon, sugar mixture until coated. Yum I love the simplicity of snickerdoodle cookies, but what a great way to change it up. 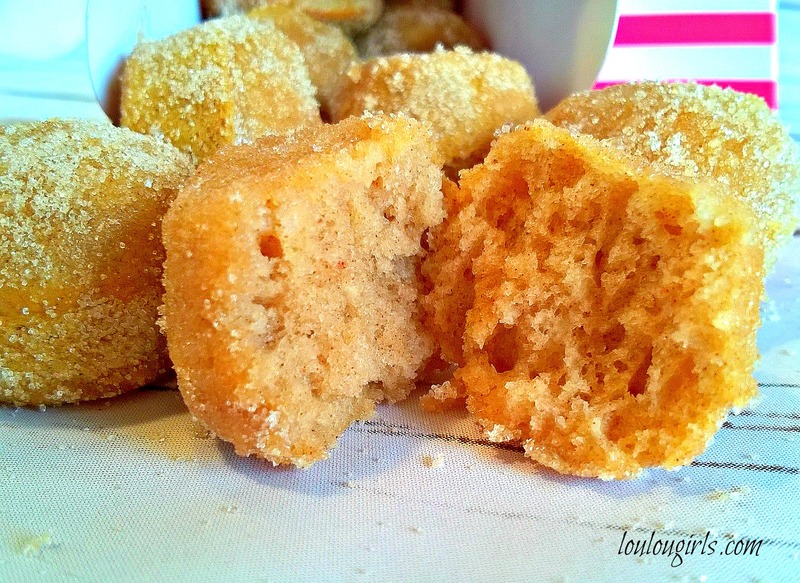 Thanks for sharing, pinning this recipe, found you at Snickerdoodle Sunday! 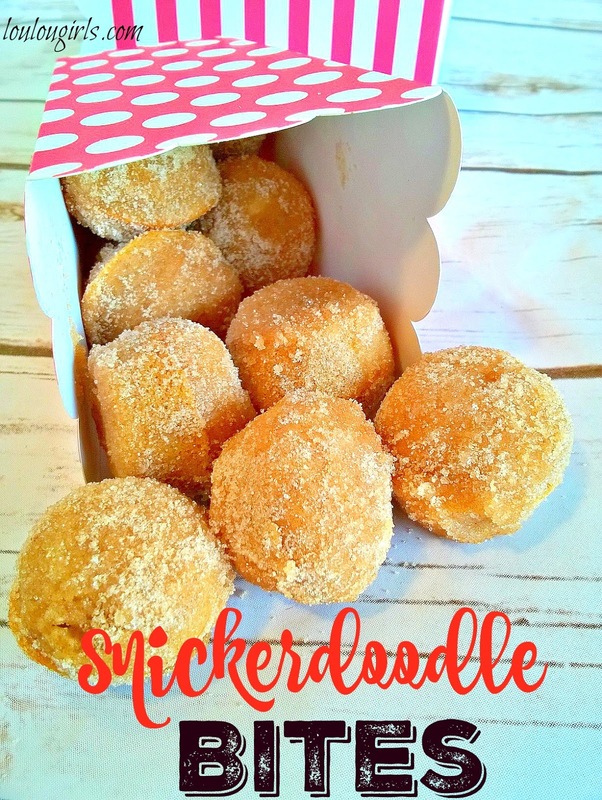 Snickerdoodles are one of my favorite cookies…can't wait to try this! Yum- I love anything with snickerdoodles! These look yummy, they would make a great brunch table treat thanks for sharing on Hope Studios. These look fantastic! Snickerdoodles are my sons favorite type of cookie, I will have to make these for him! I found you at the You're Gonna Love It Party, thanks for sharing! These sound amazing and yummy! Stopping by from Tutorial Tuesday! Omg these look so yummy! I printed the recipe and can't not wait to try! These look awesome. What a nice little surprise dessert. Oh my goodness! Snickerdoodles are one of my favorite cookies. I love the way you used a great flavor for another awesome dessert! These look so incredibly delicious! Thank you for sharing them at the #SmallVictoriesSundayLinkup! I love snicker doodles!! I'd love it if you shared at the "What's for Dinner" linky ! My kids would love these! Snickerdoodles are a big favorite! Can't wait to try these! these look so delicious, impossible to have just one – I'm sure! True but you don't feel so guilty because their baked! Oh these look fantastic. Thanks for sharing with Small Victories Sunday Linkup and hope you join us again this weekend! These look really good! I like how simple the recipe is to make. Thank you for sharing on the #HomeMattersParty. We hope to see you again when the doors open on Friday at 12 AM EST. Can hardly type, I just ran out to get a mini muffin tin, cause I gotta make these, NOW! Your image is so real, I couldn't resist trying to grab one! Great idea, love donuts but these are much healthier than the bakery version! These remind me of doughnut holes!! Yum! Thanks for sharing on My 2 Favorite Things on Thursday and I hope to see you again this week! Pinned! 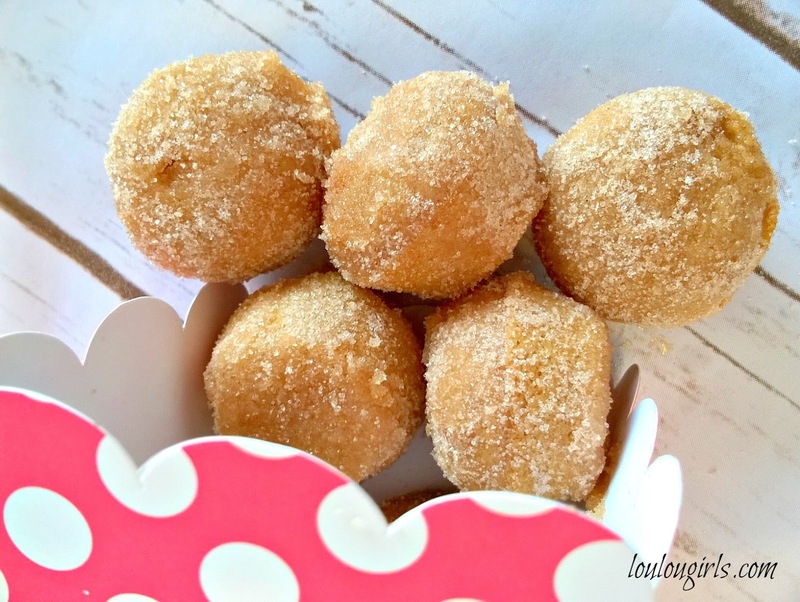 Love your Snickerdoodle Bites! Thanks so much for sharing with us at Full Plate Thursday this week. Hope you are having a great day and come back soon! These look AMAZING!!! Yum yum! Pinned! Well, those sound and look amazing. I'm really having a hard time eating completely healthy. These little bites would be great. Thanks so much for linking up to Tips and Tricks. Pinning this. Hope to see you again next week.